The legal profession is a demanding one. But it doesn’t have to be all work and zero relaxation. It is up to legal professionals including lawyers, paralegals, legal transcriptionists, and court reporters in San Francisco – and not the companies they work for, to carve out and maintain a productive work-life balance. Many people assume that it’s the employer responsibility to make sure that staff are able to have a good divide between work and home life. While this might be the ideal – is it not the reality. For anyone working in the legal profession – if you want a real work-life balance, you have to make this happen for yourself. Remember the company you work for has fiscal goals, responsibilities to shareholders or board members, and must meet the demands of its clients. And this is exactly why it’s so easy to get caught up in a constant work cycle. We want you to make the changes that ensure you have a healthy work life and a robust and active home life. We’ve put together our top suggestions on how you can do this. Remember, this isn’t going to happen overnight – just as you worked hard to get where you are in your career, you’ll have to do the same with making work-life balance your reality. 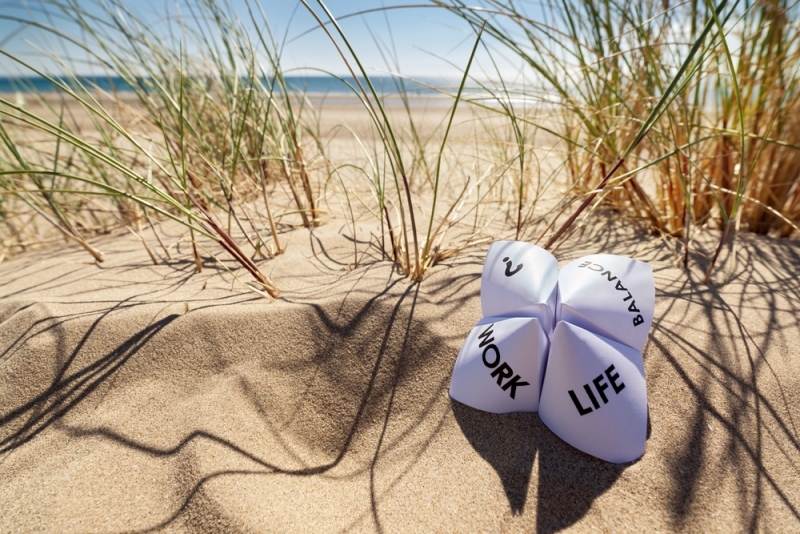 Obviously, everyone is different, but in general these tips for finding and achieving a consistent work-life balance apply to everyone, regardless of your legal career status or workload. Think creatively. Think about how you spend your days. Are there areas where you can be more efficient or tasks that you can outsource to a company that specializes in this area? Use technology. As we’re seeing with the future of court reporting and the legal profession, technology is having a big impact. Is there software or technology tools that you can use to streamline your workday or to save you time? Downsize. Are you working for a big firm or freelancing for a large number of clients? Assess how much time you want to spend focused on work. This could be the ideal time to make a change and move to a smaller law firm or to scale back on your freelance business. Talk to your colleagues. If you’re feeling overwhelmed with work, it’s highly likely that your colleagues are feeling the same. Discuss what is going on and look for ways you can help each other to reduce the workload. Be social. Yes, we know you’re busy with work – how can you possibly be social. You can do it – think small first. Meet up with colleagues for lunch outside of the office. Take 15 minutes in the afternoon to get a coffee from a nearby coffee shop. Connect with your friends at least once a week. Pick up the phone and have an actual conversation with someone you haven’t spoken to in a while. Unplug. Do not check your email when you get home. Do not bring work home. When you’re at home, you’re not working. You’re relaxing, reading, watching movies, cooking, spending time with your family, and disconnecting from the workday. Go on a holiday. We’re guessing you’ve got a whole lot of vacation time that you haven’t used. Use it. Book a holiday, preferably somewhere that has zero or limited Internet access. Load up your ereader with books (that aren’t work related), pack your swimsuit, bicycle, or rock-climbing shoes and go on that trip you’ve always want to go on. Use your calendar. Block off personal time in your work calendar. Mark yourself busy every lunch hour – this way you can avoid lunch meetings and actually get the mid-day break you need. There is a leading misconception that having a work-life balance for anyone working in the legal profession is an impossibility. It’s time to change this – but it takes you – you need to take action and encourage your colleagues to do the same. Think of how great you’ll feel when you’ve got both an exciting work life and an invigorating home life.